Agencies: - Manufacturers represented in NZ, by Ocean Data Systems Ltd.
On this page is a brief introduction to each of the manufacturers represented in NZ by Ocean Data Systems Ltd. The listing is in alphabetical order and includes a link to each manufacturer’s web site. For further information on any manufacturer’s product range, click on the manufacturer's logo, or contact Ocean Data Systems Ltd.
Applanix Incorporated is the industry leader in the development and manufacture of integrated Inertial/GPS technology. The company's Position and Orientation Systems ( POSTM) are used worldwide for a variety if applications such as aerial survey and mapping, remote sensing, road profiling, GIS data acquisition and hydrographic surveying. Applanix systems provide robust, reliable and repeatable positioning and motion compensation solutions. Based in Yarmouth UK, Applied Acoustic Engineering is now one of the world’s leading suppliers of underwater acoustic equipment, including a large range of navigation transponders, pingers, sub bottom profiling energy sources, boomer and sparker equipment and acoustic telemetry systems. AAE also manufacture portable USBL acoustic positioning systems. For 28 years, AMLOceanographic has manufactured sensors and systems for in-situ, real-time detection and measurement in water. Chemicals in water? Sound velocity in water? Pollutants? Conductivity? Turbidity? Dissolved gases? Applied Microsystems sensors can help with all these applications. AXYS Technologies Inc designs, builds and deploys oceanographic monitoring platforms that measure a variety of parameters in water and air. ATI buoys are deployed globally in a wide range of applications and these include Operational Marine Meteorology ), Research Marine Meteorology , Hydro-meteorological programs , America's Cup Yacht Racing , Port and Harbour Operations , Security and Coastal Erosion Programs. In New Zealand, the Triaxys directional wave buoy is used by a number of ports and harbours around the country. CM2 digital sidescan sonar systems are in use all over the world in a wide variety of applications. Fugro Satellite Positioning is the market leader in providing positioning data and is at the forefront in the design and development of Differential GPS and GNSS positioning technology A division of Fugro, Fugro Satellite Positioning's main office is in Perth, Western Australia. InterOcean’s product line includes Current Meters, Wave & Tide Gauges, Meteorological/Oceanographic (METOC) Buoys, Acoustic Releases, Winches & Marine Handling Systems, Hydrophones, and Remote Oil Spill Detection and Sampling. InterOcean is based in San Diego, California. RJE International offers product design, development, evaluation and marketing for military divers, offshore and marine scientific communities, search and rescue teams, and more. RJE has become the industry leader in diver navigation and acoustic relocation. Their team has an extensive background in developing, manufacturing, and supplying underwater acoustic marking and relocation systems, diver navigation platforms, and other subsea equipment. Rockland Scientific are experts in measuring turbulence in marine environments. Their measurement systems are used world-wide in a multitude of disciplines, such as Climate Research, Renewable Ocean Energy, Coastal Management and Erosion Studies and Fisheries Research. Products include Turbulence profilers, Eddy Correlation systems and modular turbulence sensors for integration onto glider AUVs etc. Rockland also provide consulting services covering the design of measurement campaigns, experimental instrumentation and data collection and processing. ROMOR Ocean Solutions provides advanced technical services and integrated instrumentation solutions for the ocean surveying and oceanographic industries. The C-ROM (Compact Recoverable Oceanographic Mooring) is ROMOR’s own compact solution to mooring and recovering oceanographic instrumentation. C-ROM is an oceanographic subsurface mooring design that offers a reliable combination of flotation, acoustic release and ocean instrument. 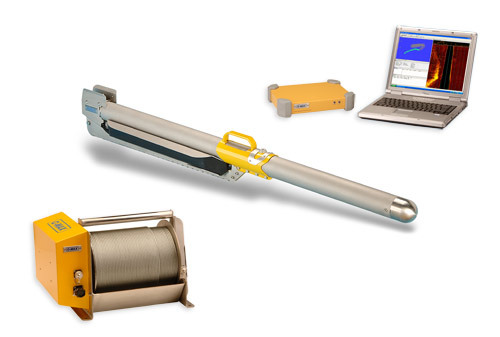 Frequently used in conjunction with Teledyne RDI's Sentinel ADCP range and acoustic releases systems from Applied Acoustic Engineering. 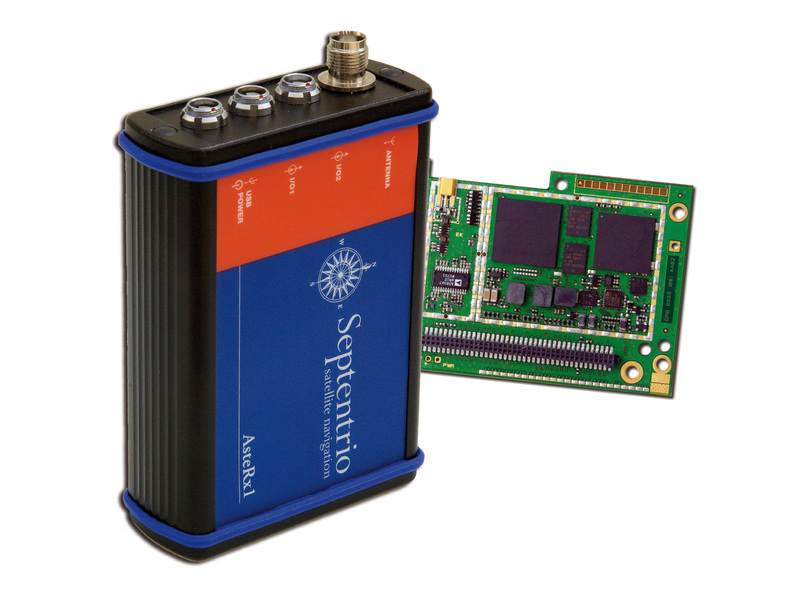 Septentrio Satellite Navigation NV, designs, manufactures, markets and supports high-end dual-frequency GNSS receivers with the best possible performance at a very competitive price. Targeted at original equipment manufacturers (OEMs), Septentrio’s core technology is being applied in precise positioning, timing and attitude determination applications. Septentrio Satellite Navigation NV is a young dynamic company founded to commercialize the Satellite Navigation know-how developed at the InterUniversity Micro Electronics Centre (IMEC), the largest independent microelectronics R&D lab. Septentrio’s headquarters are located in Leuven, close to Brussels, capital of Belgium and of the European Union. Teledyne RD Instruments Inc, located in San Diego, specialise in acoustic Doppler products for a wide array of current profiling applications. Through a partnership with Underwater Video Systems in Australia, Ocean Data Systems Ltd is the sole NZ contact for Teledyne RD ADCPs used in marine measurement applications. Tritech International Limited [Tritech] is a high-technology business dedicated to providing the most reliable imaging and ancillary equipment for use in underwater applications. Tritech operates in many professional underwater markets, including; Defence, Energy, Engineering, Survey and Underwater Vehicles and remains an industry leader in the provision of sensors and tools for ROVs and AUVs. The company’s Sales & Customer Support offices are located in Westhill, Aberdeenshire, Scotland and in Katy, Texas. Tritech also provides a dedicated support office in Macaé, Brazil. The company’s Design & Production Sites are located in Ulverston, Cumbria and in Edinburgh, Scotland. Tritech has further global representation through a broad Distributor Network. Tritech is now a Moog Inc. company, a worldwide designer, manufacturer and integrator of precision control components and systems. Xeos is a leading technology firm manufacturing telemetry and data collection products for environmental researchers, wildlife researchers and operational personnel requiring reliable and innovative solutions to track, monitor and control in harsh environments. Xeos cost effective data collection solutions incorporate satellite, VHF, UHF, cellular, GPS and low power wireless network integration. By making use of the latest radio technologies, firmware tools, application software and robust mechanical packaging, Xeos is expanding the limits for data telemetry products.